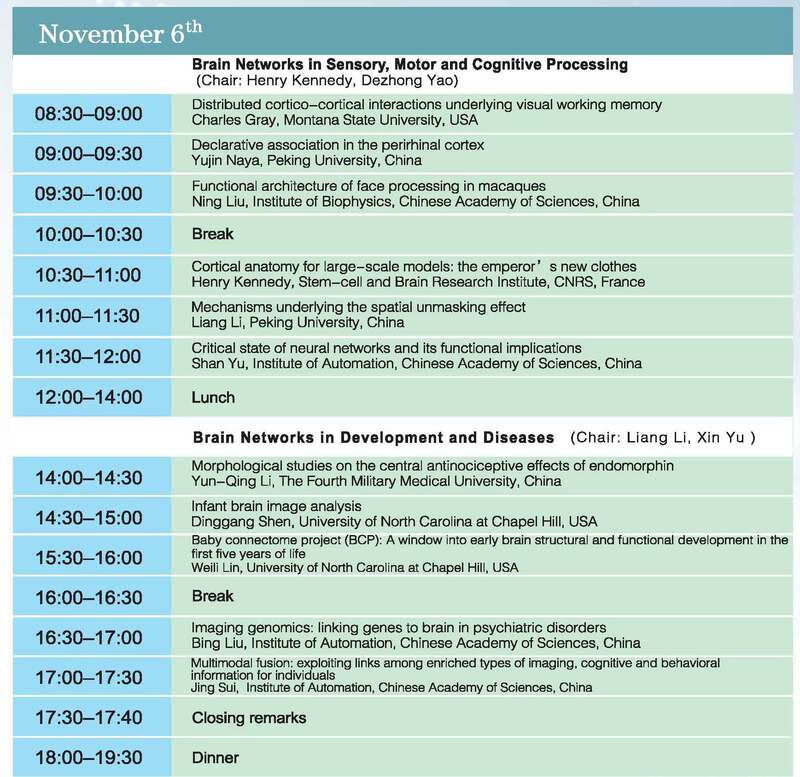 The Third Symposium on Brainnetome Meets Genome (3rd SBMG) will be held on November 4-6, 2016, in Haikou, Hainan Province, China. It will be jointly organized by Institute of Automation, Chinese Academy of Sciences (CAS), Queensland Brain Institute, University of Queensland, Hainan Jingang Biotechnology Co. Ltd, and Kunming University of science and Technology. The aim of this series of symposium is to bring together experts in neuroimaging, network neuroscience, neuroscience methodology and experimental neuroscience with a special interest in understanding the relationships between brain networks, brain functions and malfunctions, and risk genes of neuropsychiatric diseases. The 1st and 2nd SBMG was successfully held in 2012 and 2016, in Brisbane, Australia and Beijing, China, respectively. 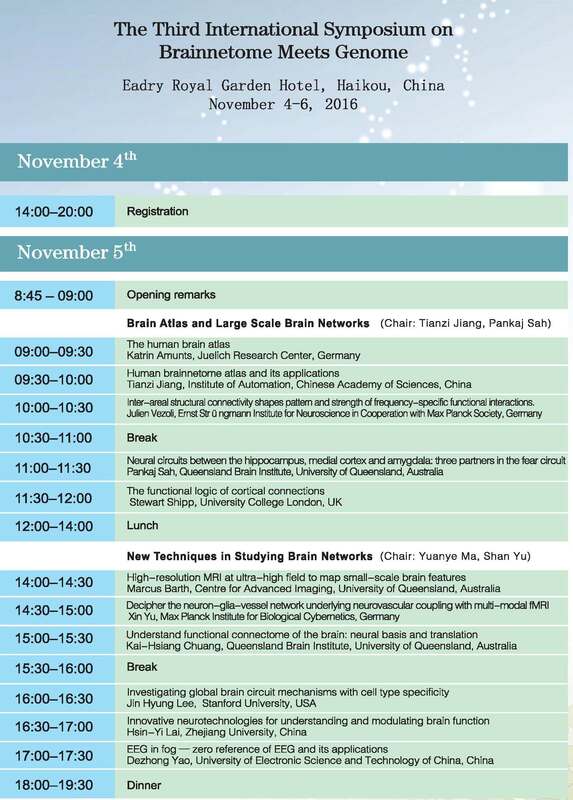 The 3rd SBMG has invited about 30 experts from China, Australia, USA, UK, Germany and France to present cutting-edge results in above mentioned areas, introduce promising new tools and techniques, and discuss synergizing the study of brain networks with genomic research. 1．Registration: 1500RMB/person, travel and housing are not included. Nov. 5th-6th Talks and discussions.